Darin is a proud member of the amazing team of Realtors at Max Broock Realtors located in downtown Birmingham, Michigan. Having been a classroom educator for many years, Darin thrives in his teacher roots as he guides his clients through the roller coaster ride of buying and selling! 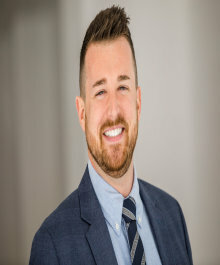 Darin not only has the confidence and knowledge of the Oakland county real estate market, but also is able to offer his "HEART OF A TEACHER" mentality when guiding his clients through this sometimes stressful and emotional experience. Darin serves all areas of Oakland County and would welcome the opportunity to offer my services to you, your family, and your friends in anyway that he can. Let's find your perfect nest together!